Craving some chocolate glazed doughnuts? 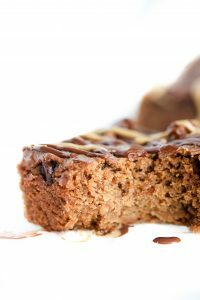 This decadent recipe is baked, glazed and extra chocolatey, Vegan, Top 8 free & Gluten-free. Have you ever made doughnuts at home? 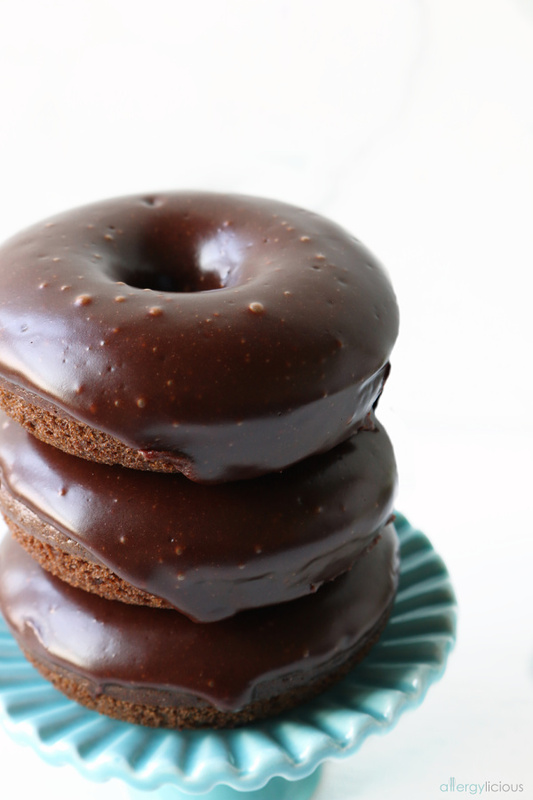 Today we’re making baked chocolate doughnuts that are dipped in a rich and glossy, chocolate glaze. They’re a perfect treat for true chocolate lovers – and super easy to make at home since they’re baked, not fried. Anyone ever fall into the Breakfast “Rut”? You know, when you eat the same thing every day just because it’s easy. In my house, everyone has their go-to. For X, it’s toast with SunButter while my daughter typically chooses a smoothie. And me….well it’s always coffee (don’t judge, I’m sure plenty of you consider coffee a breakfast meal). Anyways…. sometimes, I like to mix it up and make donuts! YEP, DONUTS! Donuts of all kinds…. Cinnamon Sugar Pumpkin Donuts , Carrot Cake Donuts , Galaxy Donuts, Baked Pumpkin Donuts and even Maple Glazed Donut Muffins. WE like homemade donuts! Not only are they a fun way to mix up the weekday, it’s also perfect for when your house is filled with kids sleeping over on the weekends. They get to eat a yummy ring of happiness and I get to be the “cool” mom who gives them homemade donuts. Homemade donuts can seem intimidating, but this version is SO EASY. No messing around with yeast and hoping it rises, and absolutely, no working with hot oil. 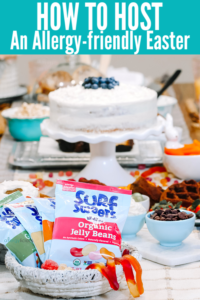 It’s basically similar to a cupcake, so it’s just a matter of putting your dry ingredients in a bowl, whisking your liquid ingredients together in another bowl, and then combining the two. We want soft, pillowy donuts, so just give it a few quick strokes, otherwise, too much mixing will make these more dense. 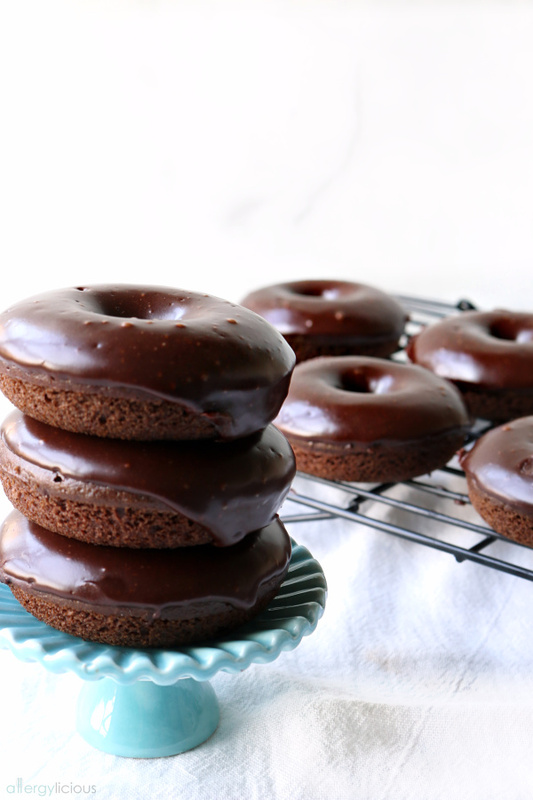 The chocolate glaze is really the final touch that makes these donuts extra chocolate-y good! A little powdered sugar, dairy-free milk, liquid sweetener, melted chocolate, and melted butter whisked together and you’re done. 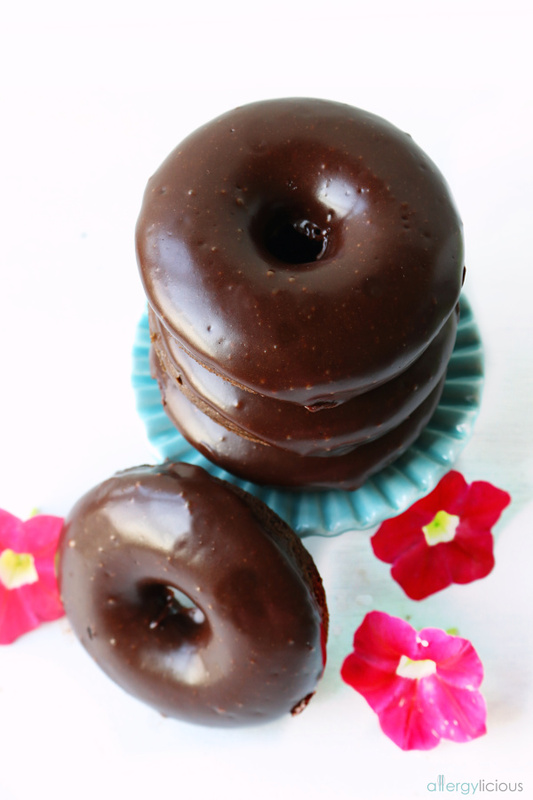 A beautifully, rich and glossy chocolate glaze, to take these chocolate donuts over the edge. If you really want to start someone’s morning off with a smile, make them these chocolate glazed donuts! They’re such a fun & delicious breakfast treat. Preheat oven to 350°. Prepare your donut pan by lightly spraying with vegetable oil. In a large mixing bowl, whisk together all your dry ingredients. Flour, sugar, cocoa, espresso, baking soda and salt. In a medium sized bowl, whisk together milk, oil, vinegar and vanilla. Pour the wet ingredients into the dry and whisk to incorporate together (you can also use a hand mixer if you prefer. Using a pastry bag or large zip lock bag, fill this up with your donut batter and cut off tip. Pipe batter into prepared pan then bake 10-12 minutes. 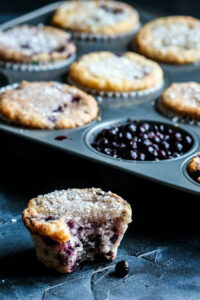 Allow to cool 5 minutes before removing from pan and placing on a baking rack. Let cool completely then dip the presentation side of your donut into the chocolate glaze. Add sprinkles if desired. Pour melted butter, milk, corn syrup and melted chocolate into a bowl with your powdered sugar. Blend with your hand mixer until smooth. OH MY GOODNESS! these donuts look soo gooey & delicious! That’s a perfect description for these donuts. These look out of this world amazing!! Can’t wait to make them. Can’t wait for you try them also. I have got to start making more doughnuts! Great recipe! Thanks Jules! If you like chocolate, than this one is a good one to start with. I really shouldn’t be looking at those amazing chocolate donuts so early in the day. That glaze, oh my!! Donuts are our guilty pleasure! I can’t wait to make these very soon! Glad I’m not alone on that! time to bring out my donut pans… YUM these look amazing! Hi, what brand flour and type of vinegar did you use for these? Hey there! This recipe used just plain ‘ol white vinegar. You could also use apple cider, but this version is a little easier on your budget. I just went gluten-free so I am so grateful for this donut recipe. I’m going to check out your galaxy donuts next, they are gorgeous. Donut texture was more like cake and there was an aftertaste when taking a bite. Sadly I had to throw them out. What flour did you use? I’ve used different flour blends and each had a different result.